Module Customization -- Picking which modules to put on your suit! Appearance Customization -- Each part can be set to 'invisible', 'normal', or 'glowing', and you can customize the colour scheme as well! Citizen Joe Armor -- Another old favorite returns. Simply install the Citizen Joe cosmetic module. MPS High Poly Armor -- The well known and controversial high poly armor. Simply install the "3D Armor" cosmetic module. MPS High Poly Armor Alternate -- The other MPS high poly armor. Again, simply install the "3D Amor" cosmetic module and in the "Visual" tab of the Tinker Table, enable the "Armor 2" parts to your liking. 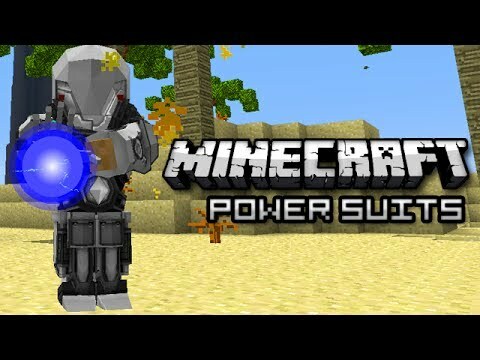 This is a simple tutorial that will helps you to install Modular Powersuits Mod for Minecraft 1.13, 1.12.2 and others version successfully! Download the Modular Powersuits Mod below or from anywhere, make sure the mod is compatible with the version of Forge installed. Place Modular Powersuits into your Mods folder. If you don’t have one, create it now. Modular Powersuits is created by MachineMuse, the mod was created on Aug 27, 2015 and the last update took place on Jan 27, 2019, so far is a total of 2,979,037 downloads. If you are interested in more information about Modular Powersuits Mod, please go to CurseForge[link]. The Modular Powersuits Mod download links from below are available for Minecraft's most popular versions so far, for others version (likes as 1.12.1 / 1.11.1 / 1.10.1 / 1.9.2 / 1.8.8 / 1.8.4 / 1.7.2 / 1.6.4 / 1.6.2 / 1.5.2 / 1.4.7) please visit the official website above! We do not host any Modular Powersuits files on our website. We do not modify or edit the Modular Powersuits in any way. If you have any problem with Modular Powersuits Mod, please leave a comment below and we will help you as soon we can.